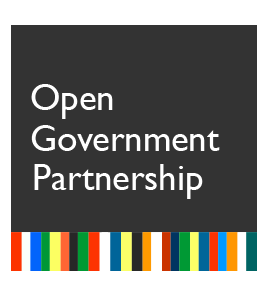 What is the Open Government Partnership and how does it work? 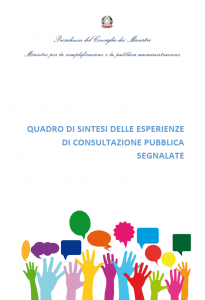 The Guidelines on public consultations in Italy outline the general principles ensuring that public consultations lead to informed and quality decisions and are as inclusive, transparent and effective as possible. The document was the result of a participatory process with the involvement of the Open Government Forum and was then released for public consultation from 5 December 2016 to 12 February 2017. The experience with new consultations organized in compliance with these guidelines. Since May 12, 2017 we have been collecting data and information on consultations. Our objective is to collect, over time, all relevant data about public consultations to look at how consultation processes and the quality of participation in Italian public administration has evolved, including in relation with the principles listed in the Guidelines. Before you fill in the online questionnaire, we suggest you download the document below to study the questions in advance. 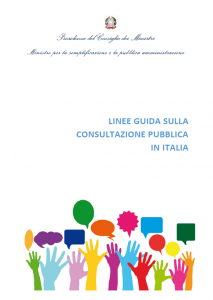 Together with the consultation on the Guidelines, the Department for Public Administration asked administrations, civil society and all citizens to provide information about public consultation cases in Italy. Thanks to the information received, we were able to get a preliminary picture of the various experiences carried out in Italy. This report summarizes the results of this first data collection exercise, provides a general overview of the main features of the cases submitted and describes the practices adopted in relation with the principles outlined in the Guidelines.